Some of Israel's most talented young people may seek careers in the chemical industry, thanks to an exciting new educational program sponsored by Israel Chemicals Ltd. and the Israel Manufacturers Association in cooperation with the Institute's Science Teaching Department. The project -- designed to give high school teachers and students firsthand knowledge of industry -- coincides with a decision of the Israel Ministry of Education and Culture to make the study of industrial chemistry compulsory for high school students who major in chemistry. Industrial sponsors hope the new program will encourage greater numbers of talented high school students to pursue careers in industrial chemistry, an area which has, in recent years, suffered from a shortage of personnel. "We want to show students what challenges await them if they choose to pursue this field professionally," explains Miri Kessner, coordinator of industrial studies in the Science Teaching Department. "We also hope to educate tomorrow's decision-makers to have a greater awareness and more balanced view of industrial issues." Towards this end, students matriculating in advanced chemistry this year will study and be tested on one of two new textbooks -- prepared by Ms. Kessner -- that are devoted, respectively, to the Dead Sea's bromine industry and Haifa Chemicals. 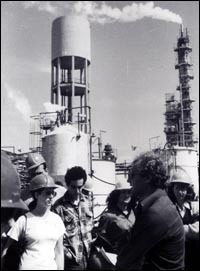 "The idea is to teach students not only about chemical reactions, but about the chemical industry in Israel and its role in the economy," explains Dr. Avi Hofstein, both a member of the Science Teaching Department and a coordinating inspector of high school chemistry for the Ministry of Education and Culture. 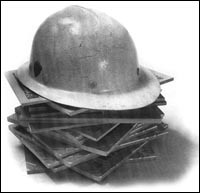 The textbooks are to be complemented by other activities including: training courses to keep high school chemistry teachers up to date on developments in industry; a data base to provide them with information on specific topics; lectures given by representatives of industry; and educational tours of chemical factories. The multifaceted program was initiated by Israel Chemicals Ltd. in collaboration with three members of the Science Teaching Department's chemistry group: Dr. Ruth Ben-Zvi, who leads the group, Dr. Hofstein, and Ms. Kessner.